The visitors will now have to win both the reverse singles in order to win the tie. The Indian doubles team of Rohan Bopanna and Purva Raja suffered defeat against Daniel Nestor and Vasek Pospisil to allow Canada take a 2-1 lead in the Davis Cup World Group Play-off tie here. 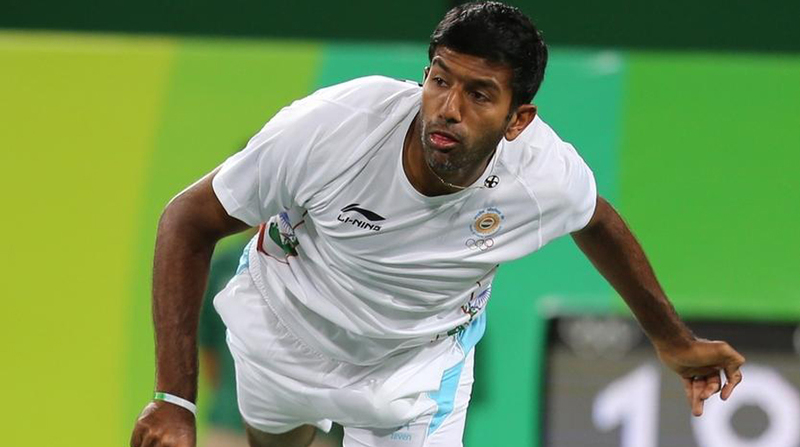 Bopanna-Raja lost 5-7, 5-7, 7-5, 3-6 to seasoned campaigners Nestor and Pospisil in two hours and 52 minutes on Saturday allowing the hosts to take advantage in the play-off. In the reverse singles, Ramkumar Ramanathan will take on talented teenager Denis Shapovalov while Yuki Bhambri will meet Brayden Schnur. Ramkumar had defeated Schnur in a tough four-setter in the opening match of the play-off to give India a 1-0 lead. The spirited 22-year-old had used his experience to get the better of the Canadian debutant 5-7, 7-6(4), 7-5, 7-5 in a bitterly fought contest which lasted three hours and 16 minutes. The visitors will be counting on the spirited Tamil Nadu lad to produce another tough fight against the 18-year-old Denis, who is placed 103 spots above him in the ATP rankings at 51.